Close to us is Caerphilly Castle, a 20 minute drive away. Followed by the wonderful Castell Coch (Red Castle), just some 22 minutes along the A470. 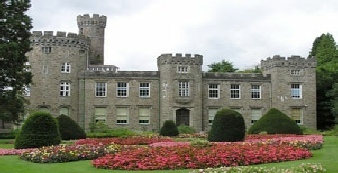 Cyfarthfa Castle Park, Museum & Art Gallery is home to a fantastic collection of artefacts spanning 2000 years of Merthyr's history. Enjoy the elegant surroundings of this interesting museum and once family home, set in beautiful parkland, on the edge of the Brecon Beacons National Park. Discover 2000 years of history in the heart of the city. From the arrival of the Romans, through the Norman Conquest to lavish Victorian design − all have left their distinctive mark on the Castle. Everything’s great about this place, from its great tower, which evokes memories of earlier fortresses like Caernarfon, to the great gatehouse, which ‘wows’ the visitor just as its owner intended. If, as they say, an Englishman’s home is his castle, then William Herbert’s Raglan is the Welshman’s equivalent.